Octopuses are cephalopods closely related to squid, calamari and cuttlefish. 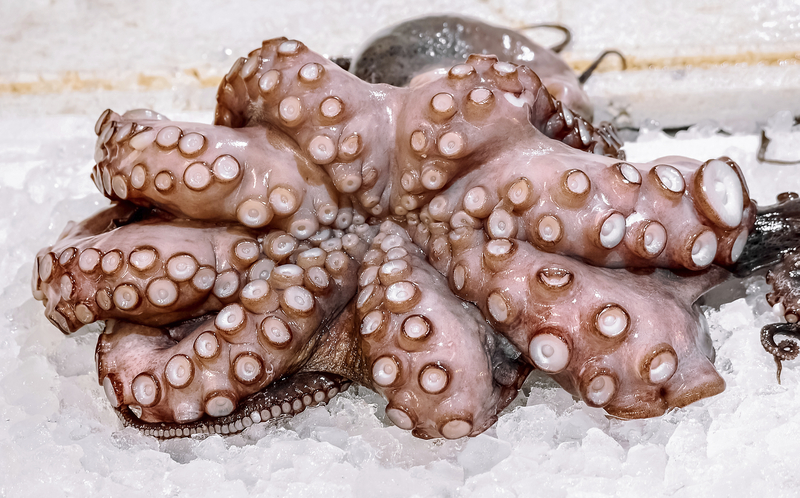 Octopuses have an enjoyable mild flavour, with a texture similar to that of squids, though more dense. Cook octopus quickly over a high heat or simmer slowly. Marinating will help to tenderise the flesh and strengthen the flavour for enhanced results when cooking quickly. OCTOPUS has firm, dry 'meaty' flesh. If cooked incorrectly it can be very chewy. Like calamari and squid, tender octopus is achieved by either a very short cooking time on a high temperature (try stir frying or BBQ'ing), or a long slow wet cooking method such as braising. Marinating before cooking will help tenderise the meat. Octopus is a fast growing, short lived species thought to be able to withstand current fishing pressure. Australian Octopus is a preferable choice to imported octopus and baby octopus, which may come from fisheries with questionable environmental practices.